Coins 488 Justinian I (527-565). 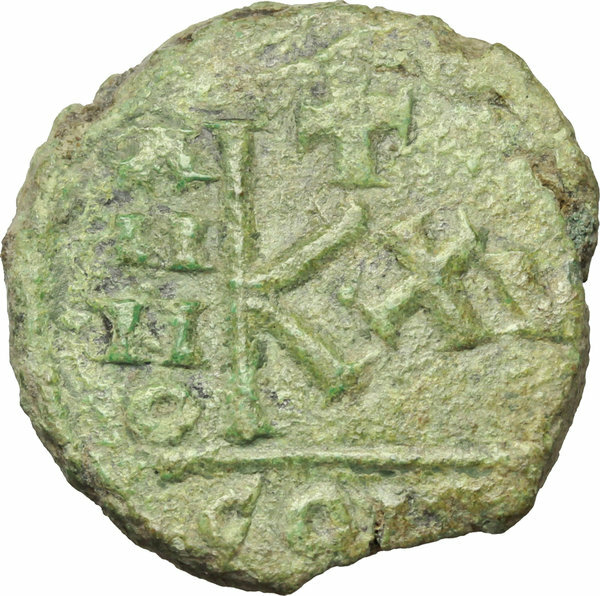 AE Half Follis. Constantine mint, Numidia(?). D/ DN IVSTINIANVS PP AG. Helmeted and cuirassed bust facing, holding globus cruciger and shield. R/ Large K; to left, A/N/N/O; to right, XV; in exergue, CON. DOC 313-15. Sear 285. AE. g. 7.19 mm. 21.00 Light green patina. Good VF. 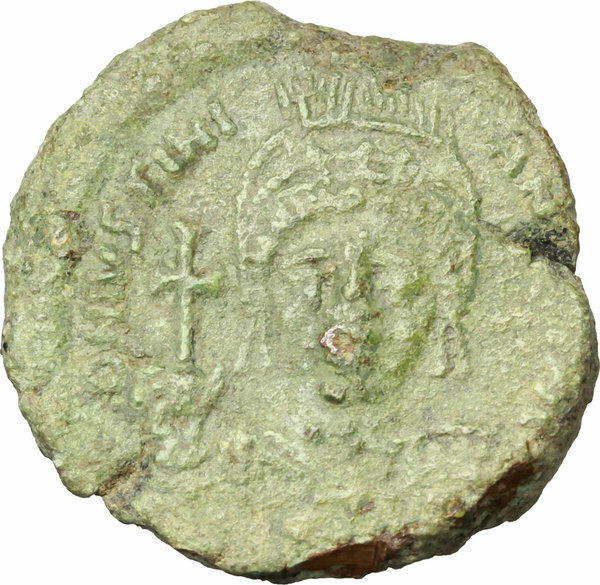 Constantine in Numidia has been suggested as a mint, as well as a location in Sicily. It may in fact be a mobile military mint, staffed by mint workers from Constantinople and Carthage, and setting up wherever the need for coinage was greatest.